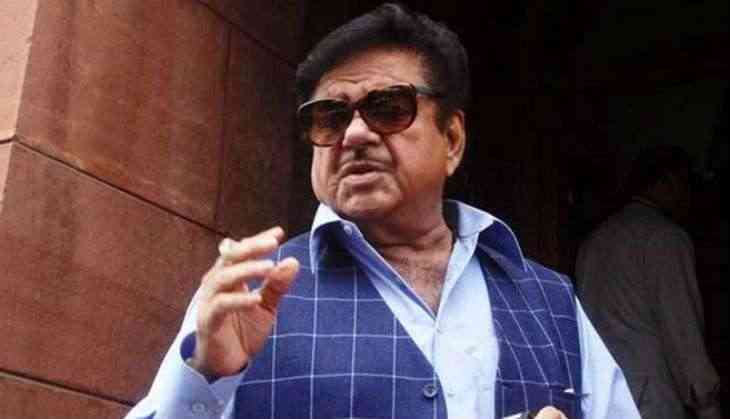 Disgruntled BJP leader Shatrughan Sinha on Sunday criticised the government's direct income support scheme PM-KISAN, saying the announcement made in the Interim Budget was "insulting and humiliating" for farmers. In a series of tweets, the actor-turned-politician said that he was in agreement with former Finance minister and senior Congress leader P Chidambaram's view that it was an "account for votes and not a vote on account". The Patna Sahib MP said, "The budget had nothing for 60 per cent of our population, which was below the age of 35 years and faced acute unemployment". "In my opinion, we are putting energy and money on the Union Budget especially when only two-three months are left to fulfill and implement all the promises made in the Budget. Even our learned senior leader, experienced, tested and successful former FM P Chidambaram has said this budget is an account for votes and not vote on account," Sinha tweeted. He added, "The kind of support given to our farmers is very disappointing. After such a tiring, long wait, it is insulting and humiliating to be given Rs 6,000 per year spread quarterly, i.e., Rs 17 per family per day, in today's times. Sir, do give it a serious thought as it is never too late". In another tweet, he remarked "Sir, we have offered nothing for the younger generation in this Budget.more than 60 per cent of our population is below 35 years of age. Do we have a magic wand which will create more jobs for them. Sir, some food for your thoughts on this important and serious issue".